The thing about digital marketing strategies is that every company has one, even if you’re not the one actively controlling it. Even if you’ve never spent a minute on Facebook, Twitter, Pinterest or any other Web property, customer opinion is forming about your brand based on mentions of your company’s name by individual users – or by your obvious lack of participation. Step #1: Evaluate your digital marketing goals. If you’ve previously set up goals, take the time to determine whether or not you’re hitting your target projections. Also, look to see if the goals you set in the past still make sense for your company based on its current performance. If necessary, revise your goals to accommodate new objectives or to account for changes in product / service offerings. Step #2: Reexamine your target customer profiles. 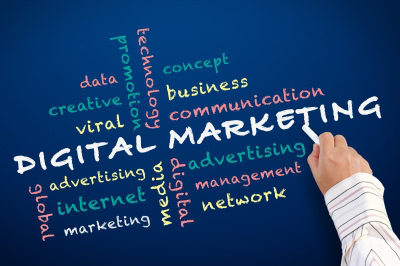 In addition, it’s important to remember that any good digital marketing plan is founded on a series of well-constructed customer profiles that outline the specific types of people you’d like to reach through your campaigns. So while you shouldn’t launch a new marketing campaign until you have some idea of your target customer’s demographics, interests and Web activities, you’ll also want to continually develop this profile based on your newest data. As an example, if you set out to target young men on Facebook but find that Facebook Insights reports the majority of your “Likes” come from middle-aged women, you may need to reevaluate all elements of your marketing campaigns to account for this new customer data. Step #3: Take a look at your digital presence. As you reexamine the types of customers you target, you’ll also want to periodically assess whether or not you’re actively participating on the right digital properties. For example, suppose you’re in an industry that targets young women, ages 18-26. If you launched your digital marketing campaign before the advent of the social networking darling, Pinterest, you could be missing out on a potentially tremendous source of traffic if you never took the time to determine whether or not you’re active on the right sites! Step #4: Evaluate your messaging strategies. Which types of messages (i.e. text-based status updates, blog posts, videos, podcasts, etc.) are performing best with your audience? Do the words you’ve chosen for various messaging pieces seem to resonate with your audience? How frequently are your marketing materials being shared virally amongst users? If your digital marketing message is in line with your customer’s expectations, you’ll see high levels of engagement with your branded materials, as well as a high number of social shares as people pass your content on to others. If you aren’t yet seeing these results, this could indicate a mismatch between your company’s messaging and your customers’ interests. Step #5: Check your digital marketing ROI. The last thing you’ll want to evaluate when it comes to assessing your digital marketing performance is your overall ROI. Now, calculating your exact returns can be difficult, but you’ll ultimately find that the data you’re able to produce are well worth your efforts. The financial benefit of any conversions you’re tracking. For a rough idea of how this looks, imagine that your company has spent $500 on digital marketing materials and $500 in labor hours to promote them. Now, if you determine that inbound visitors from social networking websites have accounted for 10 sales at $20 each (for a gross profit of $200 total), you can see that you’ll want to scale back or realign your digital marketing efforts. If, on the other hand, you see that visitors from one particular social media website have accounted for 80 percent of those sales, you may decide to refocus your efforts in order to concentrate on the traffic streams that have proven most valuable to your company’s bottom line. How often do you evaluate your company’s digital marketing strategy? If you have any tips on assessing your current campaign performance, share them in the comments section below!